Seroquel online prescription Read Full Article Converting your existing mortgage to a VA Home Loan is now a common practice. Many Veterans purchase a home without being offered a VA Home Loan and have been forced into a mortgage than has a higher interest rate, mortgage insurance, or both. Take action today, and refinance your home into a VA Home Loan and maximize the benefits you have earned. Converting your existing mortgage into a VA Loan requires the same underwriting criteria as a VA Purchase Loan. 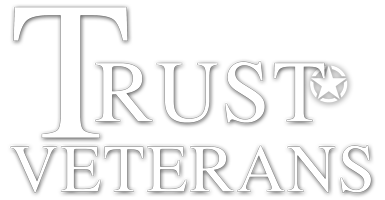 All Veterans must fully qualify for the loan based on their credit, income, and equity in the property. You can refinance up to 100% of the value of your home, but most not have been late on your mortgage within the past twelve months. Converting your existing mortgage to a VA Loan ultimately save you money. Reducing your monthly payment is the most obvious benefit but there are others. Many Veterans eliminate costly mortgage insurance, which can save thousands of dollars over the life of the loan. All closing cost and the VA Funding Fee can be rolled into the loan, so you don’t need any money out-of pocket to apply! Converting your existing mortgage to a VA Loan requires an appraisal through the VA. The appraisal cost along with standard closing cost and the VA Funding Fee can be rolled into your new loan. The VA Funding Fee is waived for all Disabled Veterans. Interest rates are currently at their all-time low; all Veterans converting their existing loan to a VA Home Loan reduce their interest rate and lower their monthly payment. Converting to a VA Home Loan can eliminate your current mortgage insurance, lowering your monthly payment and saving thousands of dollars over the life of the loan. All closing cost and the VA Funding Fee can be rolled into the new loan. The VA Funding Fee for converting your existing loan to a VA Home Loan ranges from 2.15% to 3.3%. The VA Funding Fee is waived for all Disabled Veterans. Our VA Loan Experts at Security America Mortgage are here to help you through the refinancing process, answering all of your questions and concerns, helping maximize your VA Home Loan Benefits, saving money today!